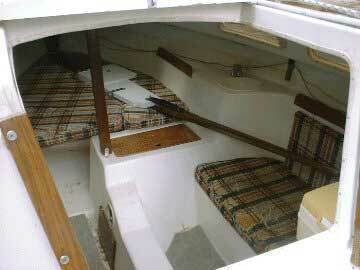 She is a great cruising boat, very stylish with such an individual look, yet is known to be a very good performer. 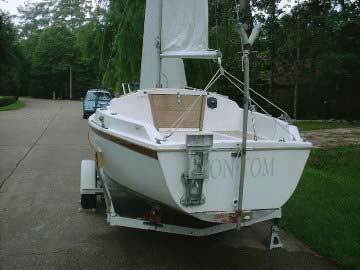 At only 1650 lbs she is light enough to be trailered with average cars, yet is a full 20' long and very roomy inside. 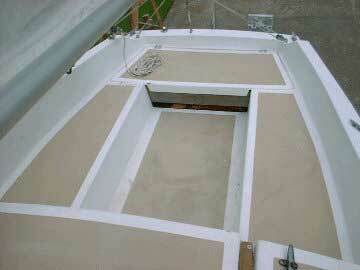 Seperate anchor well at bow makes anchoring very simple and keeps the mess out of the way. 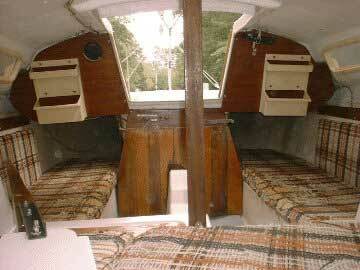 Large storage compartment in the aft edge of the cockpit for storing extra life jackets, ladder and other gear. Galley sink with new hardware built in. The cushions need to be recovered. 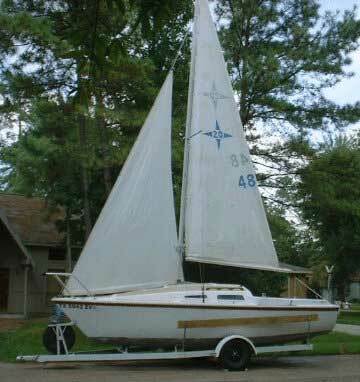 Comes with a main and jib, both are about 50% of their life. The main has a set of reef points.